Conboy’s definition was created in the context of an evaluation of the efficacy of specific software development practices; it is based on a careful analysis of the terms Agile and Lean and is grounded by research into the history, principles and practices associated with them over the last several decades. Conboy carefully documents the process through which the definition is arrived at, such that it is repeatable independent and trustworthy. In other words, in order to respond to digital disruption organisations perceive that they need Agility. Given the urgent calls for businesses to embrace the concept of digital disruption from organisations such as the Reserve Bank of Australia  amongst others; as well as the somewhat dismal figures for the success of technology projects in general  it should not be at all surprising that Agile and Lean approaches to doing business are currently of great interest to organisations working with digital technology. This means that more and more businesses are asking how they can use Agility to leverage the perceived benefits of digital disruption within their organisations. However, organisations which have attempted to introduce or to scale Agile, have learned that the implications of adopting Agility are far broader than just replicating the approaches and activities that have been successful for individual teams. Adopting Agility at an enterprise level implies a significant cultural and organisational change. This kind of change impacts roles and responsibilities, corporate governance mechanisms, reporting mechanisms, approaches to corporate and financial planning, marketing, sales forecasting and public relations; as well as demanding new and different conversations with stakeholders, shareholders and the user community. 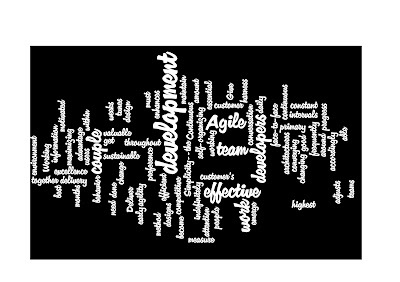 More than a decade of research into Agility has resulted in a substantial body of literature highlighting these challenges as well as the practical difficulties of scaling Agile in-the-large, which include; managing variability amongst team processes, lifecycles and approaches to developing and managing requirements , , , , , , . Whilst a number of high profile digital organisations have successfully adopted Agile as whole of business approach , , these success stories are not the majority. So whilst corporate interest continues to grow, so do concerns about the risks and challenges implicit in attempting to initiate such broad corporate change. Consequentially, organisational governance teams are seeking assurances about the potential costs and benefits of making these kinds of changes  . 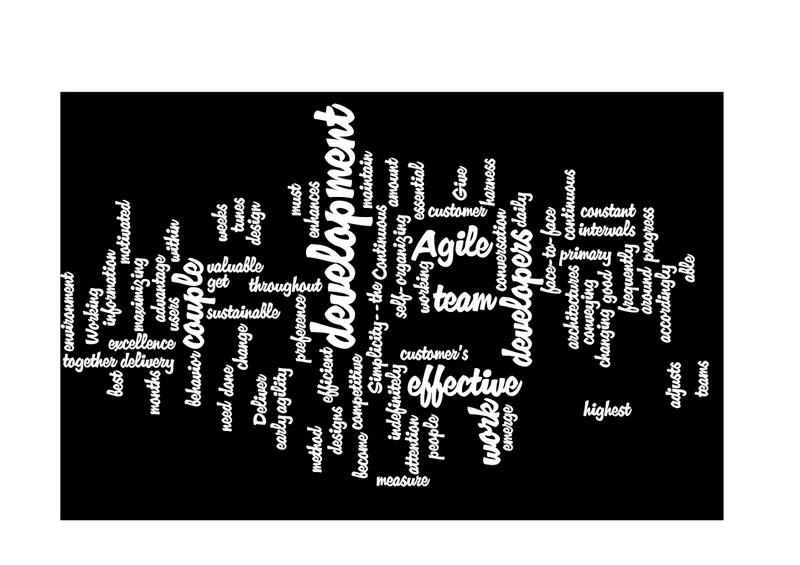 In response to these concerns a number of frameworks offering a pathway to Agile-in-the-large have emerged; some examples of which are DaD (Disciplined Agile Delivery), , and more recently, LeSS, (Large Scale Scrum) , and SAFe (Scaled Agile Framework). LeSS (Large Scale Scrum) championed by author Craig Larman,  proposes adding just enough extra structure to the existing Scrum framework to better support scaling to more than one team. LeSS does not add new concepts, rituals or artefacts to Scrum but proposes an approach to applying existing ideas to larger groups with the primary objective of improving communication. LeSS offers a certification scheme and a range of courses targeting both executives and Scrum practitioners and has recently launched a new website which incorporates a similar big picture concept to that proposed by SaFe . DaD (Disciplined Agile Delivery)  is proposed by Scott Ambler, and is an evolution of his work on the EUP (Enterprise Unified Process)  which in turn extends the RUP (Rational Unified Process), . DaD proposes a hybrid approach to scaling Agile and incorporates strategies drawn from a range of lightweight methods and Lean principles as well as mandating a set of prerequisite core practices. DaD claims to extend Agile principles across the system lifecycle and provides approaches to managing challenges such as geographically diversified delivery teams, complex organisational structures and multiple technology platforms . SAFe is the most recent of the Agile in-the-large frameworks and is based on the work of Dean Leffingwell . SAFe proposes a three-tiered approach to scaling Agile, which address the needs of the team, the program and the portfolio. SAFe is the first Agile in-the-large framework to offer a complete package of supporting software, certification schemes, books and training courses driven by an intensive marketing effort . SAFe claims to provide a proven approach to scaling Agile, a claim supported by a number of customer case studies. Software vendors have developed tools designed to support SAFe through both their product and through training and certification. SAFe has been the topic of some particularly heated discussions found in the technical literature. These highlight strong concerns voiced by many well-respected authors, practitioners and thought leaders. Who, whilst acknowledging that one of the strengths of SAFe is its basis in Lean principles have raised concerns about whether the framework actually supports the principles and values which underpin Agile, or whether it undermines them . A focus on standardisation, large scale planning and taking a top-down approach are also highlighted as potential problems, primarily due to an apparent focus on process rather than on people . SAFe claims to present approach to scaling Scrum, yet Ken Schwaber one of the designers of Scrum argues that SAFe is based on RUP rather than Scrum . Ron Jeffries one of the original designers of XP also highlights the centralised approach to planning dictated by SAFe as an issue . Both DaD and SAFe add new rituals, practices and other modifications to existing Agile methods, both propose significant organisational change and both claim to address corporate governance issues; DaD through blending traditional and Agile thinking and SAFe though offering transformational patterns as a bridge from traditional to Lean-Agile approaches. All the frameworks discussed in this post are associated with large amounts of expensive supporting material, such as, training courses, certification schemes, supporting software products and of course highlight the need for specialist consulting as a pathway to success. These frameworks are primarily designed to assuage the concerns of organisational governance teams who are keen to leverage the perceived benefits of Lean and Agile approaches, whilst mitigating a myriad of well-documented inherent risks. Whilst all these frameworks emphasise adaption to meet the needs of implementing organisations, they are presented as highly prescriptive pathways to success and unlike Agile implementations at the team level there is very little empirical evidence in the substantive literature to support claims that these approaches are proven or that they represent a good investment of potentially very large amounts of money. More conceptual approaches such as Lean governance and those associated with Agile in-the-small, (meaning the use of specific practices such as XP, pair programming, BDD and TDD) are well researched and there exists a great deal of empirical evidence to support the idea that in various circumstances, these practices can deliver benefits; but on their own they are not sufficient. So what is the way forward? How can organisations take advantage of Agility to help them respond to new and rapidly evolving demands and opportunities, whilst continuing to minimise risk, and meet their obligations to stakeholders? The research on organisations which have implemented Agile-in the large still presents us with more questions than answers  ; however we can identify some of the organisational characteristics which seem to influence perceptions of success. Key amongst these is the need for a shared understanding of what Agility actually means along with clarity of purpose from an organisational governance perspective . For example if your goals are around increasing speed to market or making improvements to product quality within an existing culture and governance framework, then a structured approach or framework will probably be appealing. Especially if that framework also suggests that you can do these thing more efficiently (cheaply) by adopting it. But this is not Agility; this is procedural change and much of the existing research suggests that organisations that confuse Agility and process improvement will not be satisfied with the outcomes nor will they achieve the certainty they desire. If, on the other hand, your goal is to deliver value to your customer through understanding and responding to their needs you are not only starting from a different place but will need to take a very different approach. Structuring your organisation around this goal can require a seismic shift to an organisations culture and management style. Wanting to be better able to respond to an uncertain and disrupted marketplace demands a level of tolerance for uncertainty that many organisations struggle with. Enterprise level Agile is not well researched or understood and whilst many of the challenges associated with scaling Agile have been identified, approaches to solving them are emergent and potentially immature. Whilst frameworks such as DaD and SAFe which propose step-by-step approaches to implementation may seem appealing and present attractive testimonials and case studies to support their claims, these claims are not based on empirical research and in many cases are at odds with the empirical evidence which is available. K. Conboy, “Agility from First Principles: Reconstructing the Concept of Agility in Information Systems Development,” Inf. Syst. Res., vol. 20, no. 3, pp. 329–354,478, 2009. K. J. Riemer B., “Digital Disruption,” Backed By Research, 2014. [Online]. Available: https://byresearch.wordpress.com/2013/03/07/digital-disruption/. S. Girn, “Digital Disruption – Opportunities for Innovation and Growth.” Reserve Bank of Australia, 2014. P. Adamczyk and M. Hafiz, “The Tower of Babel did not fail,” ACM SIGPLAN Notices, vol. 45, no. 10. ACM, Reno/Tahoe, Nevada, USA, p. 947, 2010. B. Boehm and R. Turner, “Management challenges to implementing agile processes in traditional development organizations,” Software, IEEE, vol. 22, no. 5, pp. 30–39, 2005. S. C. Misra, U. Kumar, V. Kumar, and G. Grant, “The Organizational Changes Required and the Challenges Involved in Adopting Agile Methodologies in Traditional Software Development Organizations,” in Digital Information Management, 2006 1st International Conference on, 2007, pp. 25–28. A. Mahanti, “Challenges in Enterprise Adoption of Agile Methods -- A Survey,” J. Comput. Inf. Technol., vol. 14, no. 3, pp. 197–206, 2006. G. Van Waardenburg and H. Van Vliet, “When agile meets the enterprise,” Inf. Softw. Technol., vol. 55, no. 12, pp. 2154–2171, 2013. C. Rand and B. Eckfeldt, “Aligning strategic planning with agile development: Extending agile thinking to business improvement,” in Proceedings of the Agile Development Conference, ADC 2004, 2004, pp. 78–82. K. Logue and K. McDaid, “Agile Release Planning: Dealing with Uncertainty in Development Time and Business Value,” in Engineering of Computer Based Systems, 2008. ECBS 2008. 15th Annual IEEE International Conference and Workshop on the, 2008, pp. 437–442. V. Heikkilä, K. Rautiainen, and S. Jansen, “A revelatory case study on scaling agile release planning,” in Proceedings - 36th EUROMICRO Conference on Software Engineering and Advanced Applications, SEAA 2010, 2010, pp. 289–296. K. Power, “The Agile Office: Experience Report from Cisco’s Unified Communications Business Unit,” in Agile Conference (AGILE), 2011, 2011, pp. 201–208. P. Saddington, “Scaling agile product ownership through team alignment and optimization: A story of epic proportions,” in Proceedings - 2012 Agile Conference, Agile 2012, 2012, pp. 123–130. J. Pernstål, R. Feldt, and T. Gorschek, “The lean gap: A review of lean approaches to large-scale software systems development,” J. Syst. Softw., vol. 86, no. 11, pp. 2797–2821, 2013. S. Ambler, “Disciplined Agile Delivery,” 2014. [Online]. Available: http://disciplinedagiledelivery.com/. “Large Scale Scrum (LeSS),” 2014. [Online]. Available: http://less.works/less. “Scaled Agile Framework,” 2014. [Online]. Available: http://scaledagileframework.com/. S. Ambler, “Enterprise Unified Process (EUP): Strategies for Enterprise Agile,” 2014. [Online]. Available: http://enterpriseunifiedprocess.com/. “IBM Rational Unified Process (RUP),” 2014. [Online]. Available: http://www-01.ibm.com/software/rational/rup/. A. W. Brown, S. Ambler, and W. Royce, “Agility at scale: economic governance, measured improvement, and disciplined delivery,” in Proceedings of the 2013 International Conference on Software Engineering, 2013, pp. 873–881. D. Leffingwell, “Dean Leffingwell,” 2014. [Online]. Available: http://deanleffingwell.com/. P. Saddington, “The Scaled Agile Framework (SAFe) - A Review | Agile ScoutAgile Scout,” 2014. [Online]. Available: http://agilescout.com/scaled-agile-framework-safe-review/. N. Killick, “The Horror Of The Scaled Agile Framework | neilkillick.com,” 2012. [Online]. Available: http://neilkillick.com/2012/03/21/the-horror-of-the-scaled-agile-framework/. A. Elssamadisy, “Has SAFe Cracked the Large Agile Adoption Nut?,” InfoQ, 2014. [Online]. Available: http://www.infoq.com/news/2013/08/safe#. K. Schwaber, “unSAFe at any speed,” Telling it Lite it is, 2014. [Online]. Available: http://kenschwaber.wordpress.com/2013/08/06/unsafe-at-any-speed/. R. Jeffries, “SAFe â€“ Good But Not Good Enough | xProgramming.com,” 2014. [Online]. Available: http://xprogramming.com/articles/safe-good-but-not-good-enough/. D. Torgeir, B. M. Nils, T. Dingsoyr, N. B. Moe, T. Dingsøyr, and N. B. Moe, “Research challenges in large-scale agile software development,” SIGSOFT Softw. Eng. Notes, vol. 38, no. 5, pp. 38–39, 2013.